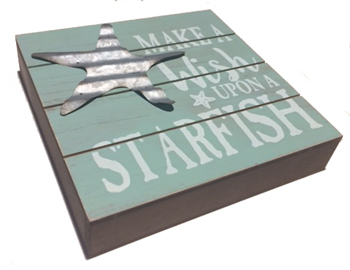 This Ganz Wall Box Plaque will look great in your seaside or costal decor or any place in your home to remind you of the ocean. This decorative plaque measures 7 7/8" x 7 7/8". It is made of MDF wood. The green paint and white lettering are distressed to make the sign look antique or old. The sides are painted dark brown. 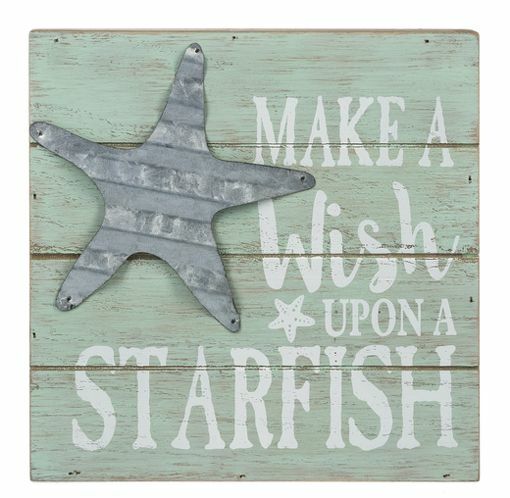 It features a metal starfish and the words "Make a Wish Upon a Starfish." 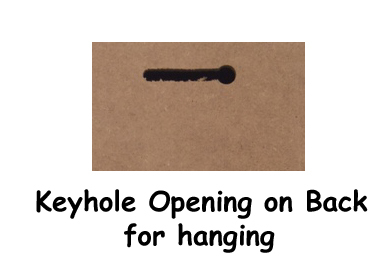 It can sit on shelf or hang on a wall.